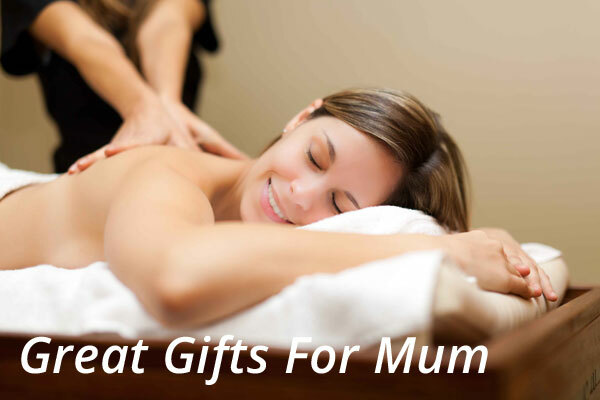 Mother’s Day is next Sunday and if you haven’t found the perfect gift as yet, then Sport & Spinal Physiotherapy have a few unique gift ideas for you. Whilst every mum loves flowers, perfume or chocolates, why not give your mum something different that really shows you care. We all know that maintaining a healthy and balanced life can benefit the mind and body, and here are a few health and wellness gift ideas for that special woman in your life. Pilates is a great way to improve flexibility and strengthen muscles. Our approach to Pilates is unlike your Pilates often seen at the local gym or Pilates studio. In a Clinical Pilates class the physiotherapist will be able to take into account an individual’s specific needs. Our approach to clinical Pilates is based on the Australian Physiotherapy & Pilates Institute (AAPI) method through which our Pilates Physiotherapists hold certification. You can read more about our Pilates Classes here and here. Rest assured, your mum will be in great hands with a Clinical Pilates class at Sport & Spinal Physiotherapy. Exercising in a gym is not all about losing weight and gaining muscle. Regular exercise is great for our brains too. Research suggests that exercise has many can be beneficial in improving memory, brain function and inhibiting disease. Exercise has also been found to help reducing stress, anxiety and depression. At Sport & Spinal Physiotherapy, we have a fully equipped Gym with the added reassurance that should any problems arise, a physiotherapist is always at hand to help. 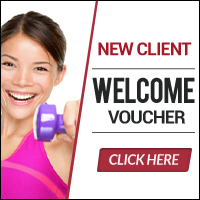 You can purchase a 10 or 20 visit gym pass for your mum or even a 6 or 12 month membership. We have covered the benefits and types of Foam Rollers previously. They are great way to “roll out” any injuries or sore spots as well as improving flexibility. Foam rolling is a form of self-myofascial release. Research shows that using foam rollers can help in improving your flexibility without impairing muscular performance. The stretch shown above is one of my favourite exercises that I give to clients. A microwavable heat pack can help relieve aching joints and muscles, as well as keep mum warm through winter. Using heat has been an effective therapy for pain management and recovery for centuries. When you apply a heat pack to your painful joints and muscles, the heat will stimulate your sensory receptors and block the transmission of pain signals to the brain. Remember, there are various sizes and shapes of heat packs, so ask our friendly reception staff to advise you on the best type of heat pack to purchase. Does your mum have neck pain? Neck pain affects a large percentage of people at some stage during their lifetime. Research has shown that neck pain is most prevalent in the 50-59 year age group and that females are more affected than males. An ergonomic pillow can help relieve neck pain. Several studies have investigated the effect of pillows on neck pain and found that correct pillow selection can significantly reduce neck pain and improve quality of sleep. 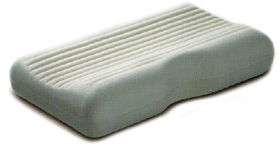 A pillow with firm support for the natural curve of the neck have the best results to reduce neck pain. Try giving the gift of health and wellness this Mother’s Day. Your mum will really thank you for it. Please call (02) 6262 4464 and our friendly reception staff can help you. Craig is the practice principal of Sport & Spinal Physiotherapy. He attained a Masters in Sports Physiotherapy degree in 2000 at Sydney University studying foot injuries in runners and anterior knee pain in cyclists. He has been working as a physiotherapist for over 20 years and moved to Canberra over 12 years ago. He has been consultant physiotherapist for Balmain Rugby League, Eastern Suburbs Rugby, Australian Track & Field and Brumbies Rugby. His special interests include lower limb biomechanics, spinal instabilities and malalignments, bike fitting, running assessments, shoulder injuries and knee injuries. Craig was a former international level middle distance runner but now enjoys endurance mountain biking achieving a 2nd placing in the 2010 World Solo 24 hour Mountain Bike Championships. He also enjoys skiing, swimming, kayaking, gym work and spending time with his family.